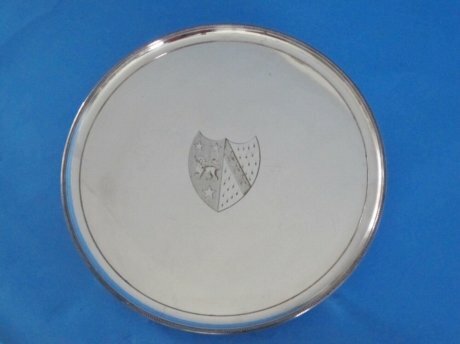 Regency Old Sheffield Plate Silver Mirror Plaque. 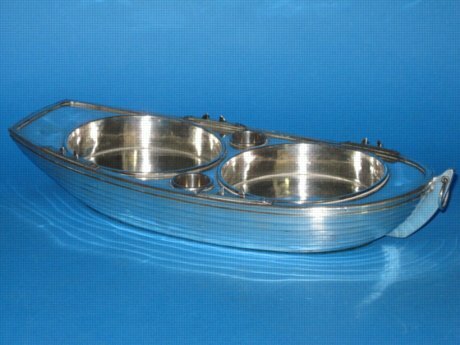 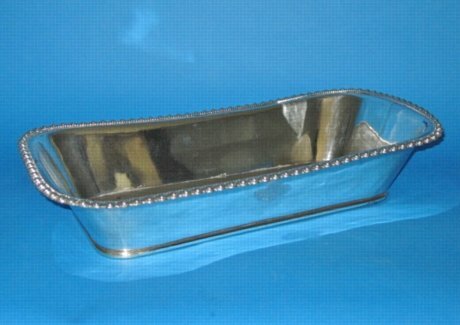 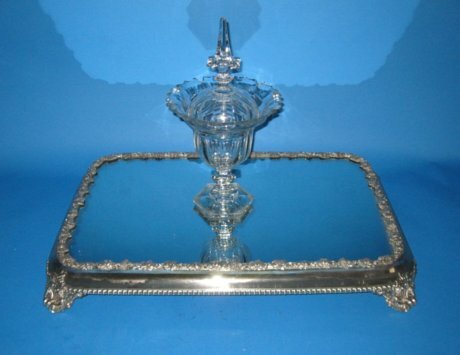 Old Sheffield Plate Silver Snuffer Tray. 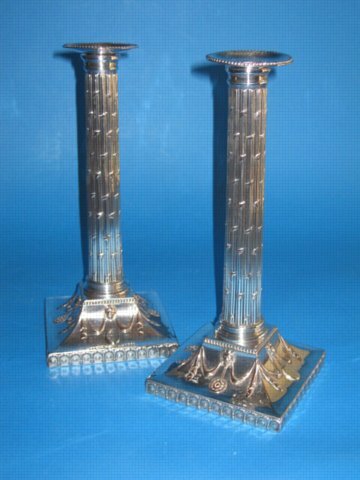 Matthew Boulton. 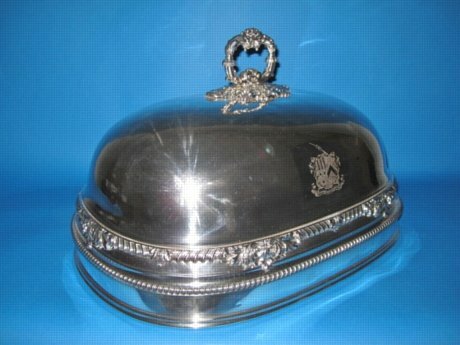 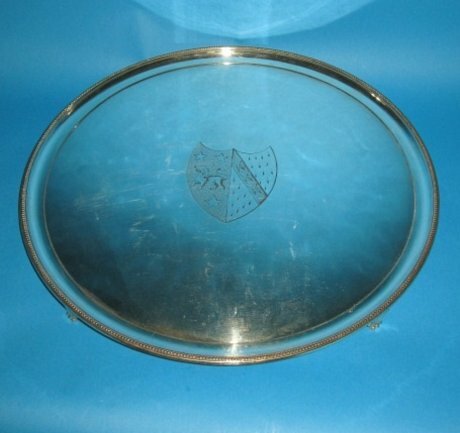 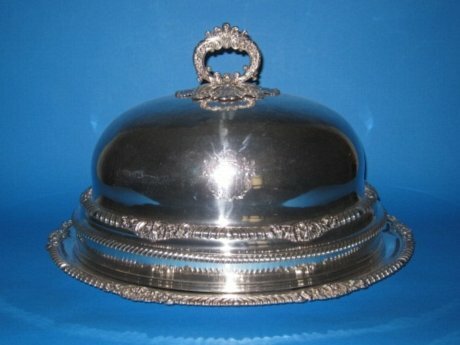 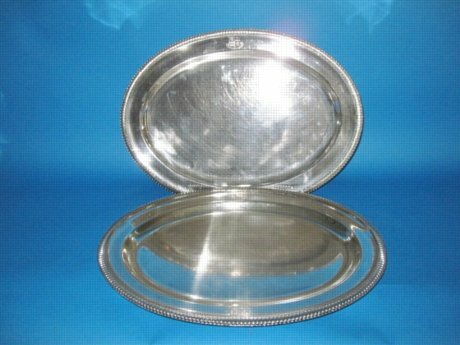 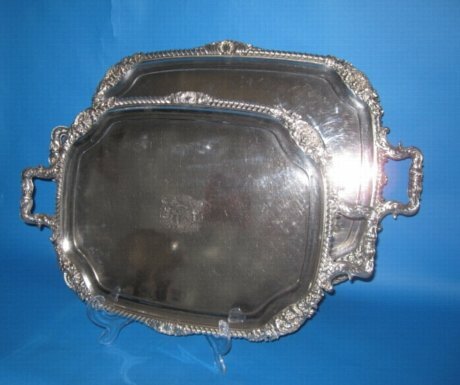 Old Sheffield Plate Silver Dish Cover, circa 1820. 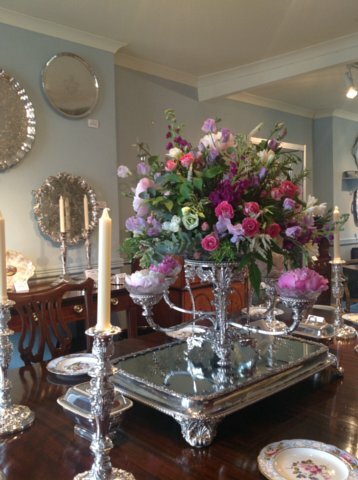 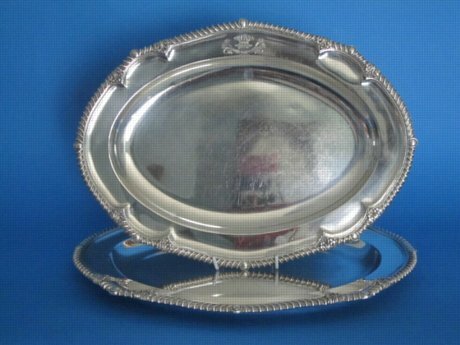 18th Century Old Sheffield Plate Silver Salver, circa 1780. 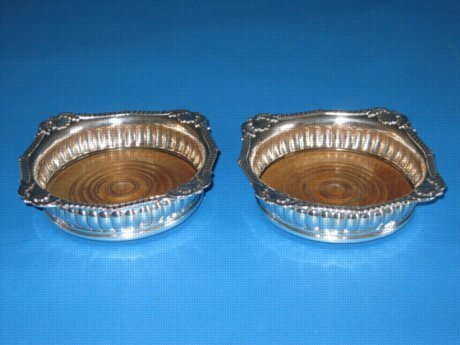 Pair of Georgian Old Sheffield Plate Silver Coasters, circa 1820. 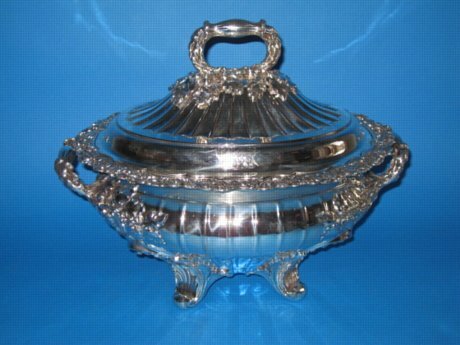 18th Century Old Sheffield Plate silver Fruit or Cake Basket, circa 1770. 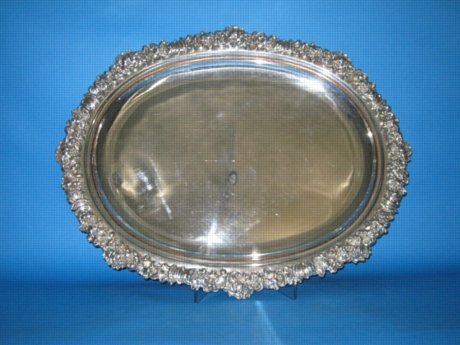 Rare large Old Sheffield Plate silver Serving platter, circa 1815. 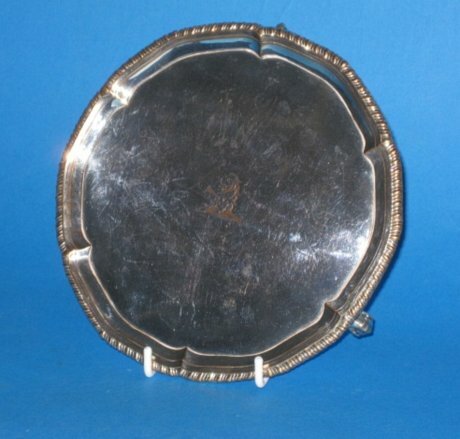 Georgian Old Sheffield Plate silver salver, George III circa 1780. 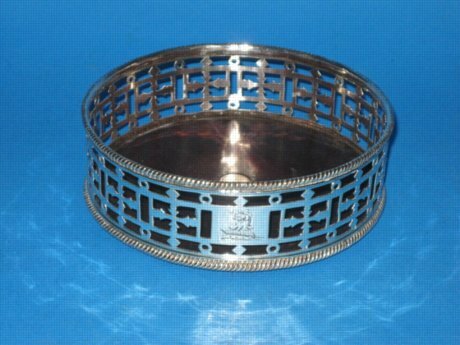 Single Old Sheffield Plate wine bottle coaster, circa 1780. 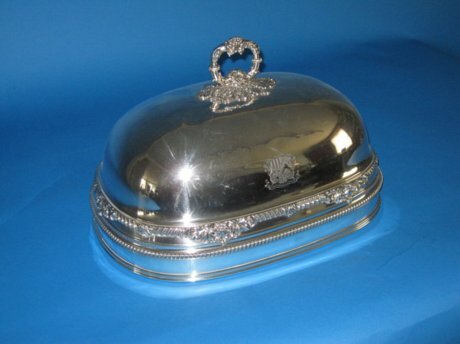 Unusual Old Sheffield plate silver dish cover, by Holy & Co. circa 1820. 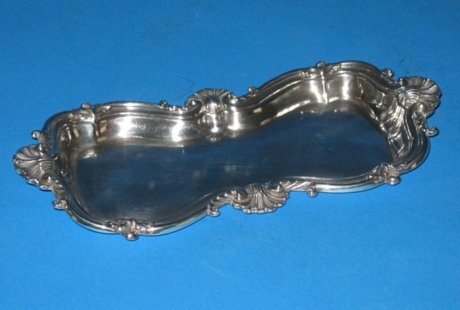 Georgian knife or cutlery tray, circa 1810. 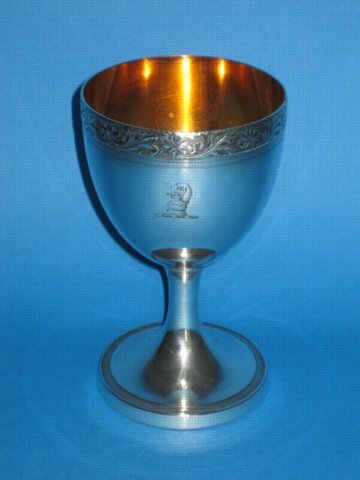 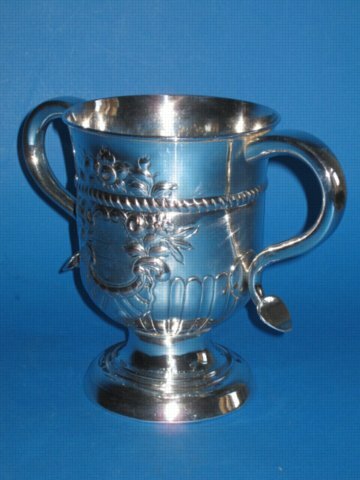 18th Century Old Sheffield Plate Georgian silver wine goblet, circa 1790. 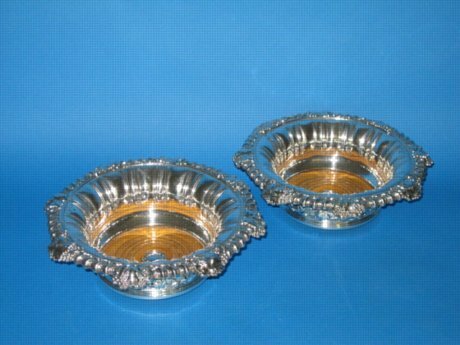 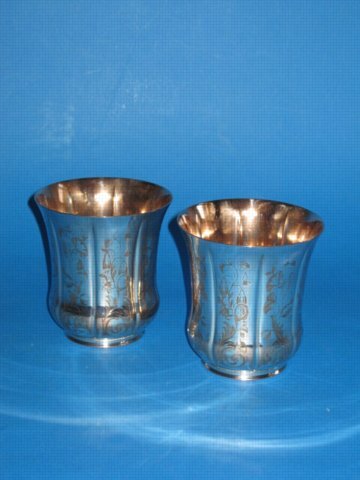 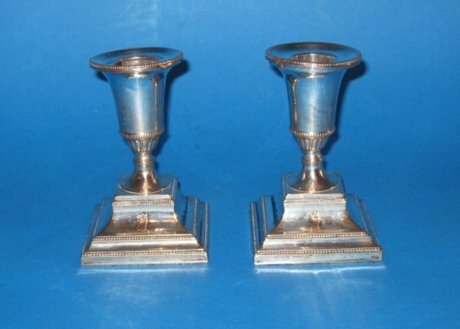 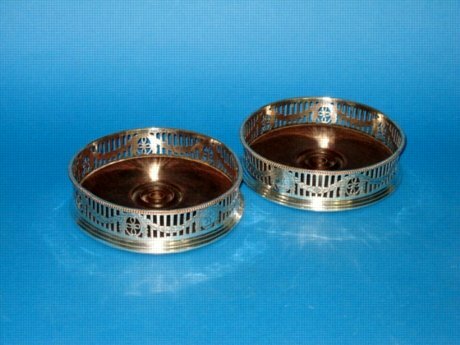 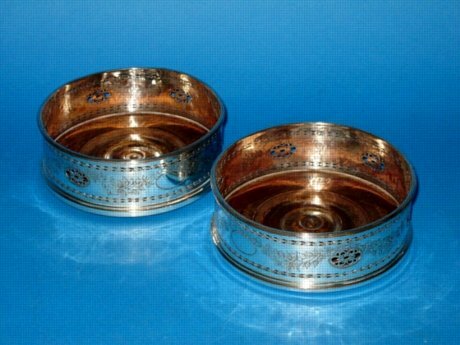 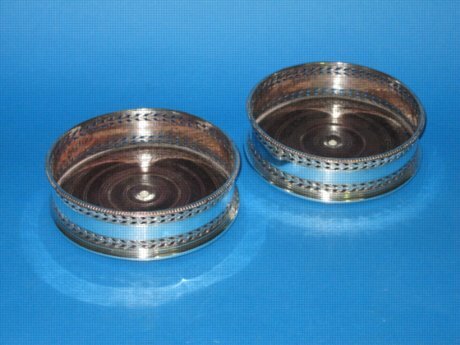 Pair 18th Century Old SheffieldPlate silver wine coasters, circa 1785. 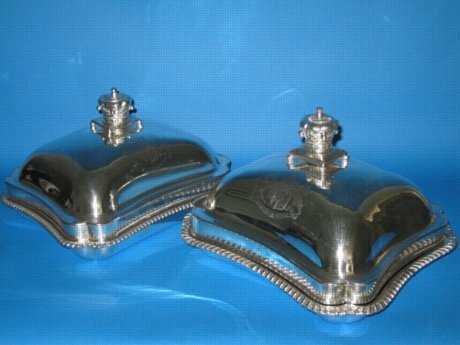 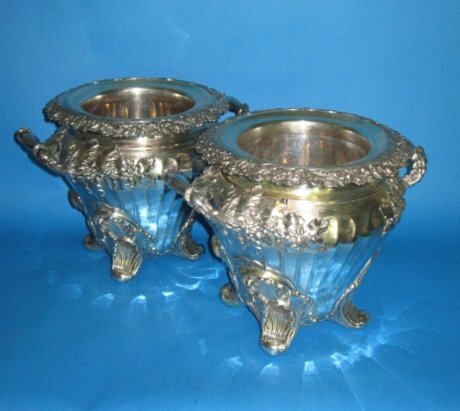 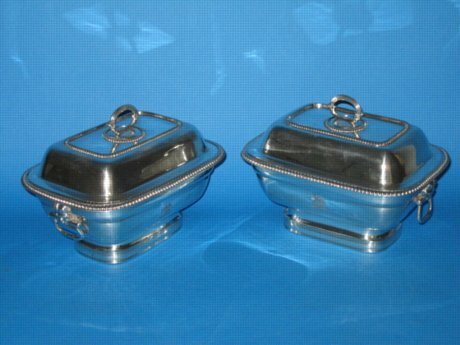 Fine pair of Old Sheffield Plate silver Wine Coolers, Georgian, circa 1825. 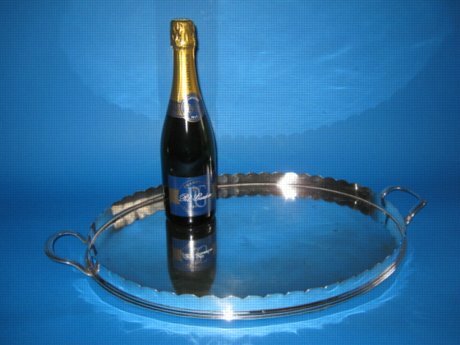 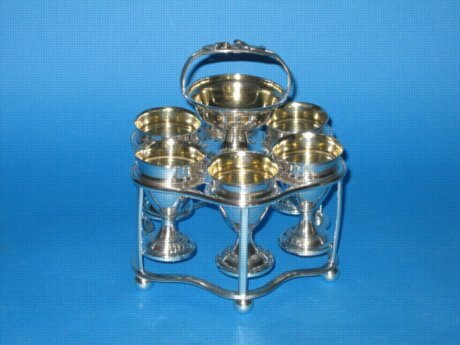 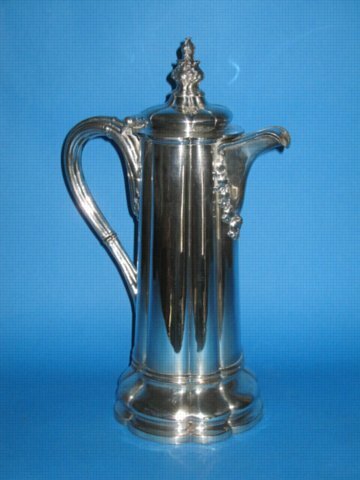 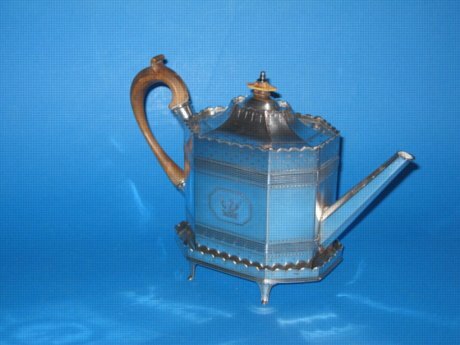 A rare Old Sheffield Plate Silver double decanter Jolly Boat wine trolley, circa 1795. 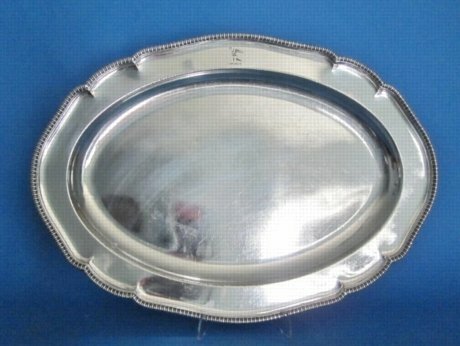 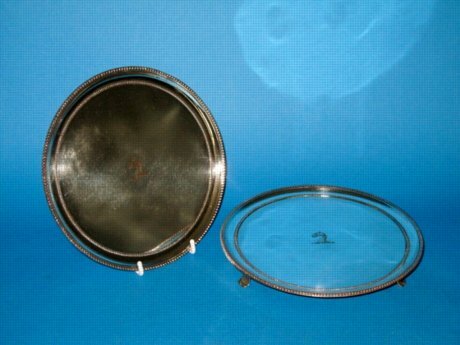 Small 18th Century Salver, circa 1765. 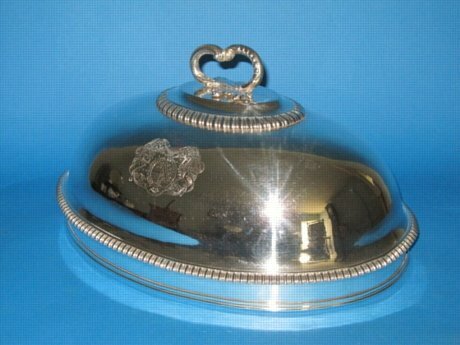 Dish & Cover by Creswick, circa 1825. 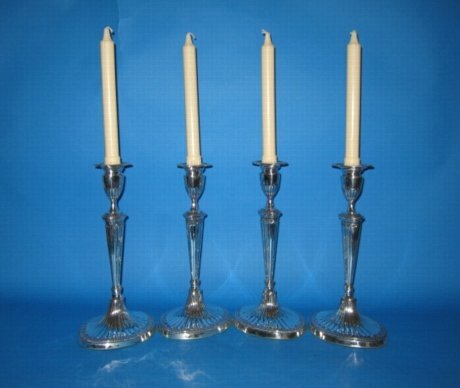 Set of four candlesticks, circa 1785. 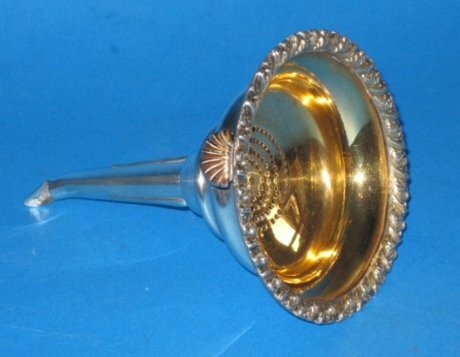 Regency period wine funnel, circa 1825.